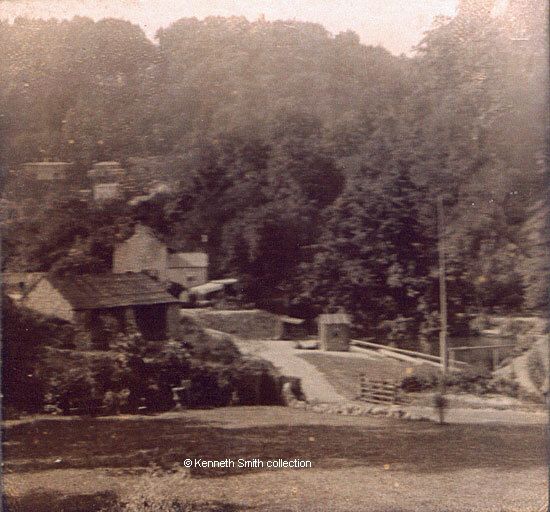 Taken from what used to be known as Orchard Holme, and now part of the Derwent Gardens, the stereoview shows us several buildings that used to be behind the Fish Pond Stables on the land where the Grand Pavilion now stands. On the left is a store which would have held coaches or carriages (note the lack of doors). The white building behind it is the Ferry House. The little hut near the River Derwent would have been where the ferry fares were collected. What looks like a triangle on the right is the sloping roof of the old boat house. The wooden gate in the foreground was the entrance into the Derwent Gardens. 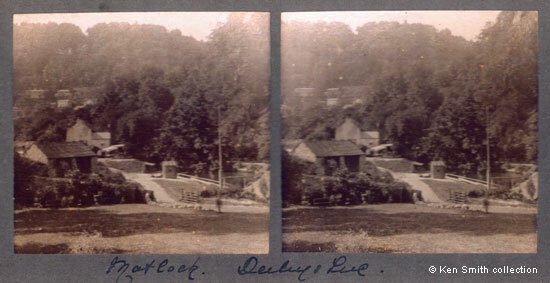 Stereoview "Matlock, Derbyshire" from the collection and © Ken Smith.